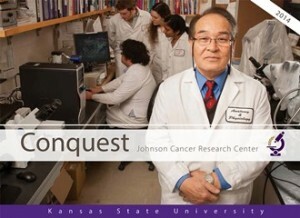 For a brief look at some exciting cancer research projects at K-State, check out our 2014 Conquest magazine! Featured are professors John Tomich, biochemistry & molecular biophysics; Masaaki Tamura, anatomy & physiology; Brian Lindshield, human nutrition; and Sherry Fleming, biology; as well as plant pathology graduate student Derek Schneweis and the purple-bleeding Wolfe family of Colorado. 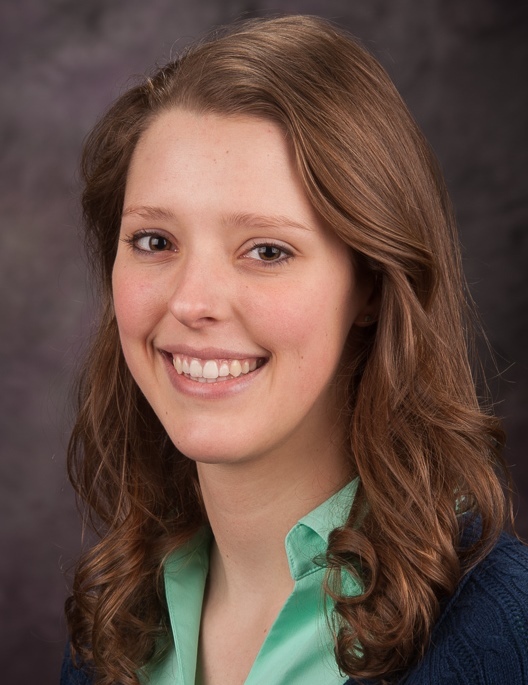 Watch for the Johnson Cancer Research Center feature in the ‘Campus Close-Up’ section of the K-State Alumni Association‘s K-Stater magazine this summer as well. You can also read about our collaboration with the University of Kansas Cancer Center in this story shared by the Kansas City Area Life Sciences Institute, which strives to advance the life sciences in the Kansas City region. We welcome you to connect with us on Facebook or Twitter to get our latest achievement, event and other news. To subscribe to this newsletter, email cancerresearch@ksu.edu. 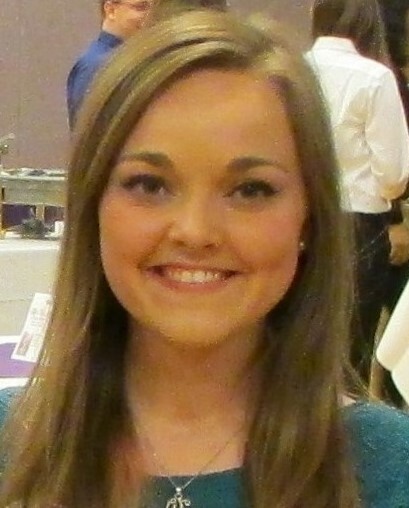 On April 4, we honored 51 undergraduate students at our Cancer Research Awards Banquet at the K-State Student Union Ballroom. We also recognized their faculty mentors and families, and, of course, the donors that made the awards possible. We thank our volunteer greeters Cecilia Wuertz, president of K-State Cancer Fighters, and Carly Cubbage, member of Cats for a Cure. We’ve put photos of the banquet on our Facebook page. You don’t need a Facebook account to view them. 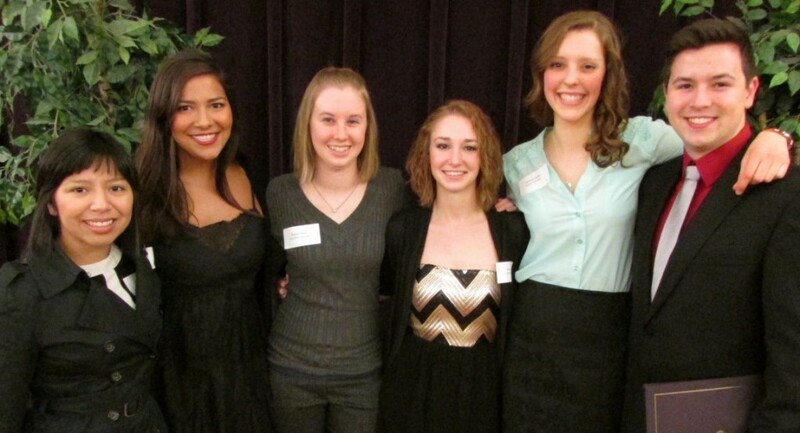 These student researchers and their mentors applied together last fall for our Cancer Research Awards. They proposed research projects for the students, which were conducted during the spring semester. The students’ names and project titles are listed on our Student Awardees webpage. We awarded each student $1,000 and provided the mentors $1,000 per student for research expenses. This program helps steer excellent students toward, and prepare them for, careers in cancer research and related areas. Many of the students consider it one of the most important things they do during college. We awarded $260,830 this spring! Thanks to our generous supporters, we invested $260,830 into K-State cancer research and education this semester! 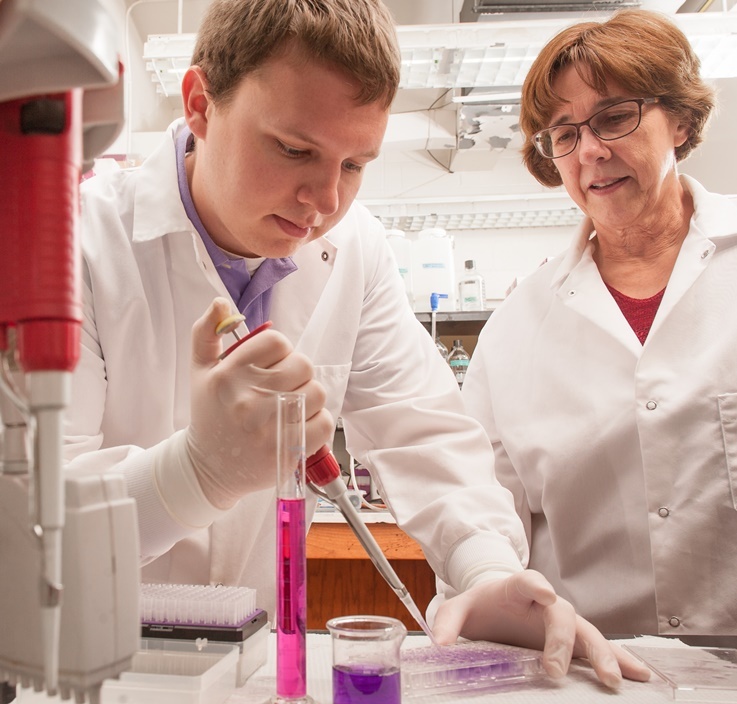 We awarded faculty $124,200 for innovative research projects and $31,787 for laboratory equipment. We awarded graduate students $99,080 in summer stipends and $5,763 for travel to present their research at scientific meetings. The awardees are listed on our Faculty and Student Awardee webpages. This was $135,000 less than requested by faculty to support their research needs. But we’re pleased to have helped and to know that they will leverage our support into larger national funding and prestigious honors, helping advance K-State to a top 50 public research university by 2025. 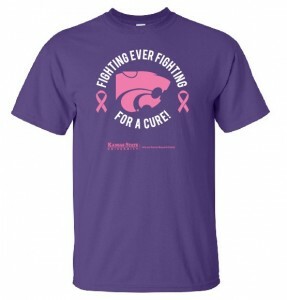 To help K-State fight cancer, please visit our Join Us page for simple giving instructions. Our programs depend on private donations and 95% of all gifts go directly to cancer research while 5% helps advance the university. All benefactors are listed on our website. Sat. Oct. 4, 2014 – Tailgate with us in Cat Town! Our ‘Fighting for a Cure’ t-shirts are back! We have some of the unisex style now and will get the ladies’ style this summer. Get yours in time for Breast Cancer Awareness Month in October, and to help pack Bill Snyder Family Stadium with them October 4! Buy or pre-order yours by emailing Marcia Locke at marcia@ksu.edu. Cost is $20 and all proceeds benefit our center.